The Vaal Dam is South Africa's second biggest dam by area and the fourth largest by volume. Behind the dam wall the surface area is about 320 square kilometres and is 47 meters deep. The Vaal Dam lies on the Vaal River, as well as Wilge River and has over 800 kilometres of shoreline. The waterbirds are counted every year in summer and winter by over 10 teams, mostly using yachts and boats. Bird atlas and Virtual Museum records are also collected. 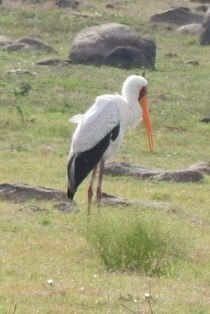 The count is organised by BirdLife Vaaldam in Deneysville and made possible by the generous sponsorship of Sasol. 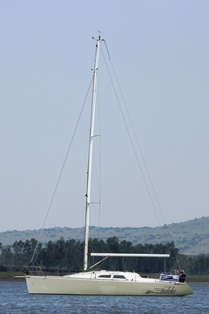 Jerome Ainsley and I were invited to join the Cape-to-Rio yacht Baleka, with Herbert as skipper. The most counted waterbird in our section was Blacksmith Lapwing. 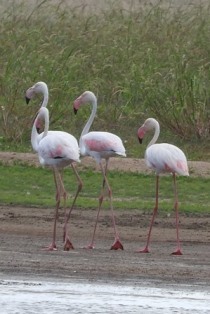 Some highlights were small flocks of flamingos, several Goliath Herons, and 2 Yellow-billed Storks. The dam level was at 52% unlike the flooded conditions on my previous visit in 2011. 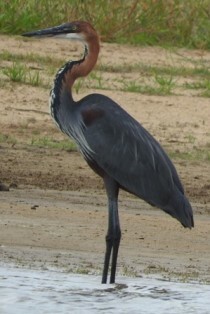 This affected the waterbird count as well as weaver colonies. In 2011 I recorded many Southern Red Bishop and Southern Masked Weaver colonies on the edge of the dam, while this time only one Southern Masked Weaver colony was noted (with old nests). At the pylons crossing the dam, White-browed Sparrow-Weavers were nesting. 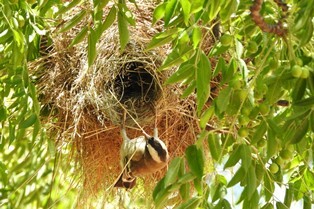 The White-browed Sparrow-Weavers outside Rosemary's bnb were still present and birds were adding material to the nests. Walking around the nearby blocks I found many more colonies - this species may be increasing in Deneysville. Thanks! 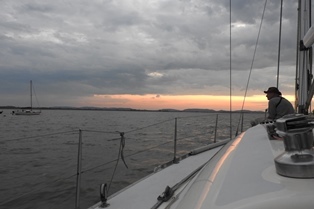 Thanks to skipper, Herbert, and the rest of the crew of the yacht "Baleka", Rosemary and Julien Giraud for organising the event and hosting us, and to SASOL for their funding.